This is a sort of follow-up to my post on Medieval Compliments: or, How to call someone 'beautiful' in Middle English, which has proved surprisingly popular. Apparently a lot of people want to know that stuff; I like to imagine that there are now lovers all over the world praising each other in beautiful medieval English. To extend this a little bit, here's a collection of terms of endearment (loosely defined), mostly culled from the Middle English Dictionary. This is a complement (heh) to the other post, and so I won't repeat what I said there about such terms as leof and lemman, though they belong here too. Leof, 'dear', is probably still the nicest and best-attested of all medieval terms of endearment. myne owne hertis rote: literally 'my own heart's root'. Rote in Middle English, referring to the roots of a plant or tree, could (as in Modern English) be used figuratively to mean the depths of something, its inmost part. So this means 'you who are at the very centre of my heart'. 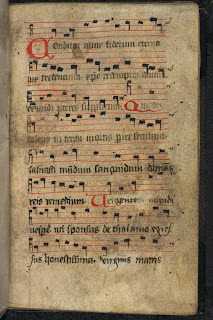 myn lykyng: I've written about this one before, because there's a beautiful lullaby carol of which this is the refrain. lykyng means something like 'the thing which is pleasing to me', and so myn lykyng is 'the one I delight in, the one who gives me pleasure'. my sweeting: 'my sweet one'. my darling: 'my dear one' (actually dear-ling, 'dear little one'). A similar word, deoring, 'dearing' also exists, but didn't stand the test of time. Dereworthy darling ('precious darling') is also a fairly common phrase. culver: 'dove'. (And also, dove itself). dear heart, or dereworthy heart, or simply my heart. This is a very common one. It's also my favourite. If you think it doesn't sound sufficiently medieval, you could always invert the word order and make it my heart dear (N.B. also works with my sweet heart and my heart sweet). my heart's queen or my life's queen: speaks for itself. my honey: yep, totally medieval. (See William of Palerne, l.1655). One of the MED citations is a line from a religious poem, "Jesu, my hony swete, My herte!" my joy: can't go wrong with that. my heart's gleam: "Sweet Jesu," exclaims one of the Harley lyrics, "my heart's gleam, brighter than the sunbeam!" my peerless paramour: for those who admire alliteration (cf. William of Palerne, a good source of these things, l.1534). my best beloved: yes, that's medieval too. There are a fair number of citations for it under best in the MED. For the first Sunday of Advent (already!) here is William Herebert's translation of the Latin hymn 'Conditor alme siderum'. 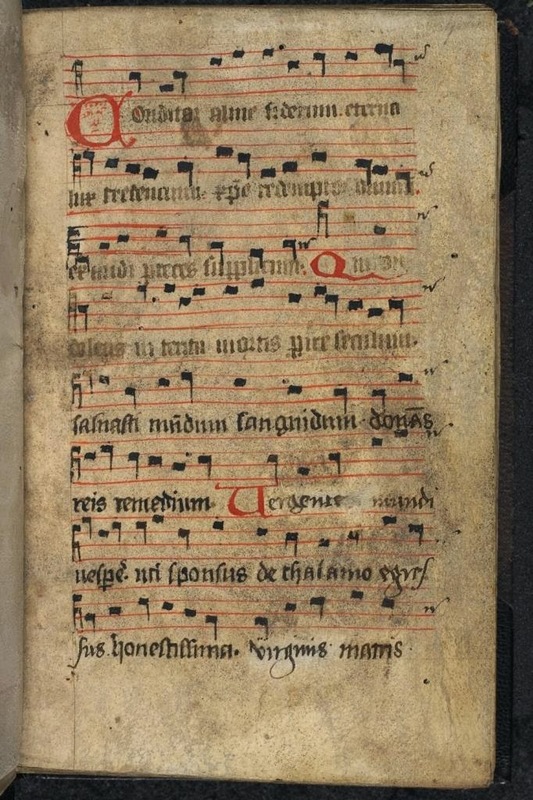 This hymn is from the seventh century, and the translation by Herebert is from the beginning of the fourteenth (Herebert, who was a Franciscan friar and lecturer in Theology at Oxford, lived c.1270-1333). I've given an inter-stanzaic modern 'translation' of Herebert's translation, so you can see how his version works. The rhyme-scheme is pretty variable and, for reasons not clear to me, he switched to a six-line stanza for verses 3 and 4, before going back to the four-line stanza. Her the bone of meke wyht. Vor bouwen to hym one. Thou thylke tyme ous yeme. and euer myd heom wone. A medieval 'starry height' on the ceiling of the church at Southwold, Suffolk. - When I posted Herebert's translation of 'Veni Creator Spiritus' I talked about his choice of shuppere to translate the Latin creator. Here he's translating conditor, 'builder, establisher, constructor', and he chooses wrouht. This is the noun wright (from Old English wyrhta), which just about exists in Modern English as the second element in words like wheelwright, playwright, i.e. '-maker'. It no longer exists as a noun in its own right (as it were...). It's also related to the verb which is only now found in the past participle wrought, 'made' (and then only in archaic contexts; my mind goes to 'stablish the thing, O God, that thou hast wrought in us'). So this is a word connected with craftmanship, creation in the most literal, physical, hands-on sense; as far as I can tell this makes it a very good equivalent of the Latin conditor, more exact than Neale's creator. - likewise, in verse 2 bote is a spot-on translation of remedium. The Middle English word bote has a range of meanings which include 'cure' or 'remedy' in the medical sense (cf. Neale's medicine), but also 'salvation, rescue', and, further, 'amends, redress, atonement'. The Old English word for 'penance' is 'daed-bote', literally 'amendment made by action'. So there is a triple sense here: medicine for the sick, salvation for the guilty, and redemption of the lost. - Herebert translates sponsus de thalamo as spouse of chaumbre (of = from). Neale has bridegroom from his chamber, which I assume he chose in order to emphasise the parallel with Psalm 19, which contains the line, in what would have been the translation most familiar to him, "In them hath he set a tabernacle for the sun, which cometh forth as a bridegroom out of his chamber". Bridegroom derives from an Old English word meaning literally 'young man about to be married' (groom is from OE guma, 'man') and it's fairly common in Middle English, including with application to Christ. The alternative spouse, which came into English from French, did not mean, as it does today, only someone who is already married, but anyone 'espoused' to marry. Like bridegroom, this is often applied to Christ in Middle English religious writing. - verse 5 asks God to deliver us from "oure fykel foh", i.e. the devil. Fickle had a much stronger meaning in Middle English than it does today; though it had the meaning of 'unstable, untrustworthy', the older and more prevalent meaning was 'wicked, false, treacherous'. And that concludes today's lesson on historical linguistics. On Transience, IV: "Think on Yesterday"
You can find the original, with all its verses, here. I just picked the verses I like best. Schal euer laste & neuer diffade. And sum tyme þenk on ȝusterday. Þat slep most make his Maystrise. ffor al is tornd to ȝesterday. Þer may no mon þer-inne affy. To-day is her, to-morwe a-way. I rede he þenke on ȝuster-day. I rede ȝe þenke on ȝesterday. ffor no lynes þat þei couþe lay. To þis world and ȝusterday. Þis poyntes may no mon him repele. I rede ȝe þenke on ȝusterday. This poem isn't really appropriate for November, but today is the anniversary of C. S. Lewis' death, and it's lovely. The gates to Magdalen College deer park, just off Addison's Walk. This poem is Rupert Brooke at his most boyish, bless him. And sighs, “The dear dead boyish pastime! You ever hurt a bit! Brooke did not live to see 1920, however; he died on 23 April, 1915. This is the feast-day of St Margaret of Scotland, one of my favourite saints. This is my post on her from last year. She was awesome; I'm not; therefore, this is all I'm going to say today. I've recently become interested in Rudyard Kipling and especially in his quasi-hymns, poems written in hymn metre or using traditional phrases as a springboard for his own thoughts. A few weeks ago I encountered his 'Non nobis Domine', and this 'Recessional' is, of course, appropriate for Remembrance Sunday. It was written in 1897, and can be sung to the tune of 'Eternal Father, Strong to Save'. So it's not really a secret that I am a massive fan of King Cnut, the most successful of Viking kings and the subject of some of the best stories in Anglo-Saxon history. Whether he is chasing after peasants, composing songs about the beauty of monastic chant, or chopping off a traitor's head with a snappy pun, he gets all the best lines, all the grandest gestures. 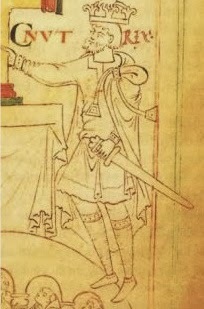 Today, 12 November, was the date of his death in 1035, and I had to post something to mark it. So, this is the most famous story about him - at least, the only one to have entered popular discourse, if usually in a way which misses the entire point! Quotation from Historia Anglorum, ed. and trans. by Diana Greenway (Oxford: Clarendon Press, 1996), pp.367-9. I'm discovering more Thomas Hardy poems I like! This one can join The Division and A Church Romance in that growing category. But mind-chains do not clank where one's next neighbour is the sky. Men with a wintry sneer, and women with tart disparagings. I think this is the poem which C. S. Lewis' 'As the Ruin Falls' was reminding me of the other day. I said I splendidly loved you; it’s not true. The clean clear bitter-sweet that’s not for me. For love of Love, or from heart’s loneliness. The youtube video has nothing to do with translations of this psalm (though for reference, it is of course the text of the Book of Common Prayer, not the KJV), but my goodness, it is beautiful. Anglican chant is one of the loveliest things in the world. 1. I reiside myn iyen to the hillis; fro whannus help schal come to me. 2. Myn help is of the Lord; that made heuene and erthe. 3. The Lord yyue not thi foot in to mouyng; nether he nappe, that kepith thee. 4. Lo! he schal not nappe, nether slepe; that kepith Israel. 5. The Lord kepith thee; the Lord is thi proteccioun aboue thi riythond. 6. The sunne schal not brenne thee bi dai; nether the moone bi nyyt. 7. The Lord kepe thee fro al yuel; the Lord kepe thi soule. 8. The Lord kepe thi goyng in and thi goyng out; fro this tyme now and in to the world. To be honest, the thing that strikes me about this translation is not very scholarly or devout: the word 'nap' is really funny. We can be glad that subsequent translators have decided that 'slumber', a considerably more dignified word, was more appropriate. A good number of the citations for nappen in the Middle English Dictionary are from Wycliffite texts, so either it didn't seem comical to them or it was part of the 'everyday diction' thing they had going on. The repetition of keep and keepeth follows the Latin Vulgate, which has custodit or custodiat six times in eight verses; the KJV, note, has versions of 'keep' three times and then switches to 'preserve' (also three times) to translate the same word. Who knows what they thought the difference was. Þat maked heuen, erthe als-swa. Ne he sal slepe þat yhemes þe. Ouer þe righthand ofe þe. Ne þe mone bi night with-al. Lauerd þi saule yheme he. Fra hethen and in to werlde lange. In various phrases with the sense ‘for ever and ever, for all time, throughout eternity’. Chiefly in religious context or with religious connotation. [After various post-classical Latin phrases containing saeculum, e.g. usque in saeculum, in saeculum saeculi, in saecula saeculorum, all attested in the Vulgate, in turn after various Hellenistic Greek phrases containing αἰών aeon n. (e.g. εἰς τὸν αἰῶνα, εἰς αἰῶνα αἰῶνος, ἕως τοῦ αἰῶνος τῶν αἰώνων) in the Septuagint, which render various biblical Hebrew phrases containing ʿōlām age, aeon, long duration (in post-biblical Hebrew also ‘world’). a. to (also oth on, into, unto) (the) world. Obs. Quotations from OE to c.1425. b. in (the) world of world(s) (also in to (occas. to, through) (the) world(s) of world(s)). In Old English (and early Middle English) on (also þurh, geond) worulda woruld. Obs. Quotations from OE to ?1591. c. Similarly in (also into, through) all (the) worlds (of worlds) (in Old English (and early Middle English) on (also þurh, geond) ealra worulda woruld). Also in (or for) everlasting worlds, world always. Obs. (arch. in later use). 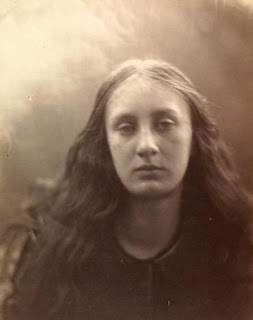 Quotations from OE to 1842 - the last is Tennyson, the one considered archaic, presumably: I heard his deep ‘I will’, Breathed, like the covenant of a God, to hold From thence thro' all the worlds. e. from world into world(s). Also fro the world and in to the world. Obs. d. (a) world (occas. worlds) without end. In later use also hyperbolically: endlessly, eternally, for ever. In Old English (and early Middle English) also (on, to) worulde (a) butan ende. I'll take any excuse to post one of William Herebert's hymn translations, and All Souls Day seems as good an excuse as any. This is his version of the Libera me. When þou shalt demen al wyth fur þat ys on erþe yuounde. When heuene and erþe shulle quake and al þat ys on grounde. And lyht of heuene blysse hem shyne wythouten ende. When thou shalt judge with fire all that is on earth found. When heaven and earth shall quake and all that is on ground. And light of heavenly bliss on them shine without end. Because it's All Saints Day, and because I heard a sermon this morning about how saints are stained glass windows to God, here's an assortment of stained-glass depictions of saints. (There's a pun somewhere in the fact that stain/saint share the same letters - I did consider 'sainted glass' as a title for this post - but I can't get to it. Assume I made one, and we'll move on). The picture above, from Ringwood in Hampshire, is at the top of this post because I don't know who the saints are (except St George in the middle) but I love the colours anyway. So they're standing in for all the saints. From the same church, some Cornish saints - not a good picture, alas, but when else will I ever get the opportunity to mention St Winnow and St Nectan? St Catherine is one of my name-saints, so I had to include her. (This is from the church at Wickhambreaux in Kent, which has an incredible stained-glass east window...). From Elham, Kent (I love that little lamb!). There's a close-up of St Michael's face in process of restoration here, which is pretty cool. All the glass seems to have been cleaned since I visited in 2008, and it looks very different now. This is getting to be an obsession. Perhaps I should write a book.